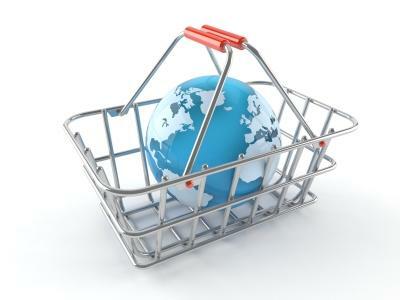 Looking for case studies of cross-cultural issues in the retail business? In this article, we look at some examples from the retail industry where cultural differences or cultural issues have resulted in business success and failure. This article will attempt to show the significance of the cross-cultural factors in international retail success. Through understanding the cultural reasons behind success or failure, it is then easy to apply the same principles to any business sector. Each of our case studies will give you a brief background to the retail companies involved as well as an overview of the cultural issues at play. It then concludes with a summary of the main learning points that can be taken forward. In 1997 and 1998 Walmart acquired two companies - Wertkauf and Interspar - in Germany. During its expansion Walmart managed to also successfully enter a number of international markets including Canada, Chili, Brazil, India, and China. However, during this whole period of expansion Walmart also experienced a number of defeats. Germany was one of them. Analysts still argue about the reasons behind the failure of Walmart in Germany. However, among them are a number of culture-related issues that come up rather often. There were two groups of factors, which contributed to Walmart’s failure in Germany. The first cluster is related to mismanagement. Firstly, some of the American employee management practices just didn’t fit in the German context. For example, each employee before the shift had to participate in a morning exercise. In could be seen as harmless, but the best thing about this practice was that they had to do it chanting “WALMART! WALMART! WALMART!” . If in America such practice could be used to boost morale and inspire loyalty, then in Germany it was looked upon with annoyance, to put it mildly. Secondly, Walmart’s ethical code caused much frustration as well. For example, the practice of actually spying on your co-workers and reporting any misconduct may be acceptable in the U.S. However, in Germany it is not the case. One only has to think back to the 1940s and post-war Germany when citizens were actually doing this on a social level - thus the modern abhorance. Thirdly, the feedback of the employees was ignored. Top management apparently didn’t listen to anything the lower employees and subordinates had to say. Such a situation caused enormous amount of frustration among the employees. Morale was significantly undermined as well. This in turn, had a negative impact on the overall efficiency of the venture. The second set of factors is related to the lack of analyses of the local market and the specifics of local customers’ demands. Firstly, store merchandising was wrong . Walmart put all premium products at eye level, while all the discount products were stored either at the bottom shelve or on the top one. This irritated German customers a lot. Secondly, as strange as it sounds, habits of the average German customer weren’t taken into account. Germans are known to be efficient and spend as little time in the shops as possible. However, Walmart’s stalls were placed in such a way that the customer will have to spend more time shop. Also, at the check-out desks, the cashiers were ordered to always be smiling. In Germany it is considered not normal to smile at total strangers. So the German cashiers, who were not in the habit of smiling at strangers, attempted to follow the orders but felt uncomfortable. As a result, the smiles didn’t seem sincere, which again, aroused not the best feelings towards Walmart in its customers. Thirdly, the brand name wasn’t particularly popular in Germany. The reason lies in the uprise of “greenness” in Germany . The ideas of conservation of environment and recycling were gaining momentum. That is why Walmart’s plastic bags and redundancy of plastic packaging aroused more annoyance rather than enjoyment . The cumulative effect of poor management and total absence of analyses of the local market or culture could not but have had serious impacts on Walmart’s position. Frustrations of both employees and the customers played a major role in the downfall of Walmart in Germany. As for financial performance, Walmart never officially published the losses it experienced during its stay in Germany. However, some analysts estimate that the losses of Walmart were US$ 200-US$ 300 million per annum. Even though the exact number will remain a mystery, the retreat of the giant who is not particularly used to failures, speaks louder than numbers. Walmart did fail in Germany, and cultural factors did play their role in it. In 2009 Costco attempted an expansion into the Australian market. Many experts had not anticipated this venture to succeed. Some analysts were emphasising high competition from the liked of Coles and Woolsworth. Some thought that it will be differences in customers’ preferences and shopping habits. However, Costco has proved them all wrong. The first point is reflected in the membership sales. Australians usually favour the “win-win” approach in life. This feeling of being appreciated and being exclusive in exchange for a membership fee attracted Australians. Apart from this entrance strategy Costco, unlike Walmart, decided to change their selling practices. The first thing to go was their coupon practices. In America coupons are widely used. However, in Australia it is an alien concept, which nobody uses. Costco, instead of trying to implement an already successful U.S.A. coupon system decided give it up in case of Australia. Another thing which was left in U.S.A. was the use of Costco cards. Americans are eager to use Costco cards as payment methods. However, Costco management saw a potential threat in the implementation of the same practice in Australia. Moreover they were afraid of the frustrations and conflicts which these cards may cause. This is why the decision was made not to restrain any payment methods in Australia. Also Costco decided not to invest any money in marketing. They played on “word-of-mouth” marketing. It was smart as in Australia, this is probably the best marketing money can buy. Partially the success of this practice was ensured by the fact that many Australians and Americans travel a lot between the countries. The migration flow is quite strong there. This caused a certain amount of people to have first-hand experience with Costco. This played its role in attracting new customers. Unlike Walmart, Costco analysed the situation carefully and adapted itself to the demands of the local market. Paying attention to local demands and changing one’s ways accordingly - that is where the true value of Costco’s lesson lies. The summary of the results can be summarised in one phrase: Costco secured its place in Australian market swiftly and effectively. Some numbers are in order. Thanks to the membership scheme, the first day sales were approximately $US 841,000 (Costco, 2009:3). In the first two weeks sales went up to US$ 8,9 million (Costco, 2009: 3). The future of the Costco looks promising as well. According to the International Business Times Costco has the right to be ambitious: “while Coles and Woolworths are busy battling their price wars, Costco is building its capacity in a bid to become the third major supermarket in Australia” . In 2007 Carrefour started aggressive international expansion in other countries. Particular attention was given to the rising Asian markets. One of the main targets was China. There were many retail experts filled with scepticism on the matter. Differences between France and China in terms of management and customer behaviour were among the most mentioned reasons for failure. However, instead of ignoring these remarks, Carrefour listened to them and constructed their selling strategy accordingly. Firstly, it is worth mentioning the overall strategy Carrefour chose. The general idea was to implement a really decentralized scheme for the business locally. This meant that the company was divided into four parts: East China, South China, North China and Middle China. Managerial staff was constituted by locals. This, in combination with the fact that Carrefour always listened to the managers and “kept an ear to the ground” produced positive results, “empowered [local managers] with deciding on orders, purchasing, pricing, supplier selection, arrangement of store displays, employee recruitments, negotiating, promotional campaigns and arranging store displays”. This gave Carrefour insight into local market and allowed it to act as efficiently as it was possible. Also, Carrefour adopted itself to local customers’ demands. For example, Carrefour is more in the habit of building huge shops. That is why the original plan was to open 10,000 square foot shops, but after taking local specifics into account, the shops were resized into 3,000 square meter format. Another thing which was realised by Carrefour was the enormous differences in the demands of coastal big cities in China as opposed to smaller cities in the mainland. A good example is how Carrefour differentiated the selling practices across the country. For example, selling of fish had two modes: selling alive fish and selling of the frozen fish. Coastal cities favoured the former, while the inland favoured the latter. Carrefour acted accordingly. Another point of interest is that sometimes Carrefour adopted the Chinese customer’s to their practices. Such an interesting approach surprisingly yielded considerable results. For example, when wine taxes in China went down, Carrefour saw an opportunity and via free wine seminars and tastings, Carrefour explained them how drink wine and the value of it. Because of that Carrefour managed to enjoy revenues from freshly introduced products to Chinese market such as French wine. adopting oneself to local demands is extremely important. As we can see the profits were constantly soaring. Such a correlation between awareness of local specifics and generating profits cannot be ignored. So what conclusions can we draw from looking at the case studies of retail giants like Walmart, Costco and Carrefour ? As it is evident, culture in retailing plays a crucial role. Even though it is hard to measure the extent to which the culture plays in a success or failure, it is nevertheless impossible not to notice the correlation between the two. The most important lesson, which one can take from the retailing industry's experiences, is that you not only need to pay attention to local management practices, but also on how you sell your products. The management question is equally important for all industries. However, the selling practices in supermarkets bear much more important for retail industries. The very positioning of shelves in the shop or the layout of the products on those shelves can have a significant reflection on your revenues. And in order to be aware of those specifics you need to be aware of the hidden motivations of local customers. Wallmart failed to take German pragmatism into account, while Costco managed to find a culture-smart entry strategy. Carrefour managed to understand not just how to sell in China, but that you actually need to differentiate who you are selling to within China. The goal of this article was to provide food for thought: would you risk imposing your culture, your way of selling and your perceptions on others? Or will you adapt? Localize? Culture will influence any international venture. It is up to the players involved to determine what that influence will be - negative [passive] or positive [proactive].